Rosary will be recited at 5:00 PM. Viewing will begin at 9:30 AM. Following service, lunch will be served at the Life Story Center at the funeral home. One would be hard pressed to find anyone more genuine than Ray Grey. A man of integrity, Ray knew the value of hard work and was accomplished in many ways. With his unending gift for gab, he was a friend of many and a stranger to none. Ray’s sincere interest in the lives of others was quite admirable and his welcoming spirit and outgoing ways naturally drew others to his side. 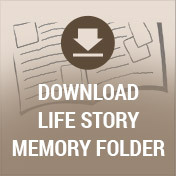 Ray’s greatest joy was found in the family entrusted to his care and for which he was proud. Devoted to his faith and church, his high morals and the values for which he lived were a testament to his faith. Although he will be dearly missed, Ray leaves much to be remembered. The son of Stanley and Lottie (Matlinga) Greczyk, Raymond Edward (Greczyk) Grey was born on March 3, 1933. One of four children, Ray grew up with his three sisters, Theresa, Mary Ann and Patricia in Hamtramck where his family made their home. His father worked at the Dodge Main Plant while his mother worked quite a commute away at the Willow Run complex for the Ford Motor Company. Ray attended St. Florian School and during his youth he spent the summers on his grandmother’s farm helping out which convinced him that the best milk he ever had came straight from the cow. This time in Ray’s life even earned him the nickname, “farm boy” from the kids at school. A devout Catholic family, they were faithful parishioners at St. Florian Catholic Church where Ray served as an altar boy. Throughout high school, Ray worked several jobs. He enjoyed a large group of friends, and Ray’s basement was the place to be to party on occasion. Ray went on to graduate from St. Florian High School. Although it was a small graduating class of 50, they were a very close group and had all grown up together. With its’ rich Polish American heritage, Ray enjoyed and appreciated the community of Hamtramck and the Polish culture there. 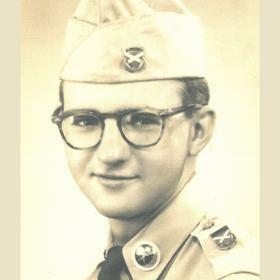 In 1953, Ray was drafted to serve with the U.S. Army and before long was on his way to basic training. Having served in an artillery battalion as company clerk, he was stationed in Germany for most of his tour. Ray loved working the angles. Since everyone received rations of cigarettes and Ray didn’t smoke, he often used the cigarettes to pay German locals to do his laundry and clean up his room. Being on military leaves afforded Ray the opportunity for travel. With a wanderlust spirit, he traveled extensively throughout Europe visiting the cities of Rome, Berlin, London, Capri, and Paris. Following his honorable discharge from the service, Ray returned home. As a young man, he shared a cottage in Windsor with some friends where people would flop on mattresses strewn about after long nights of partying. Well known as the “party house”, he and his friends called themselves “the swingers”. They even had the beer truck deliver directly to the cottage! Ray was also an avid skier. He was in a ski club and won several trophies. Ray particularly enjoyed skiing in Canada, and he also liked to golf. Ray landed a few jobs, but since he enjoyed finance, he began taking night classes at the University of Detroit under the GI Bill. While working at Chrysler, some of the managers there were also his professors, and this helped Ray finagle slightly better grades in class from time to time. Known as a master negotiator, he acquired these skills growing up without many resources which enabled him to learn ways of advancing himself. While working in finance as a controller at Chrysler, Ray met the young woman who captured his heart. Dee Hudzik was a legal secretary and while both were at the copy machine, the two struck up a conversation. Dee mentioned she was on the company’s bowling team, and when Ray showed up at the bowling alley one day, that was all it took. They went for a drink after her game and the rest was magic. 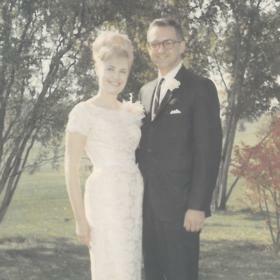 After dating for a brief time, the couple was happily married in 1965, in Warren, Michigan at St. Louise Catholic Church. The newlywed’s set-up house and before long welcomed the birth of their son, David. A goodhearted and dedicated father, Ray was a hard working family man. He was in awe when he was there for David’s birth, and he even took Judy and Deborah to see the Beatles in concert, although he could barely hear the music over the girls screaming. With his penchant for numbers, he helped Judy who struggled with math. He meticulously painted a hand-me-down bike for her as well, in her favorite color, purple, complete with purple and white streamers and a matching seat. For a time Ray helped coach David’s fifth grade basketball team. He took special care with Dean a player who was struggling with free throws and taught him all about the granny shot. Dean didn’t like the idea, but it worked and he was so excited. Ray was proud to have helped this young man. Family vacations were always welcomed where great times were shared. Ray loved celebrating, big parties, and family gatherings. He especially loved spending the weekends in Caseville, Michigan where Dee’s mother had a home. After working at Chrysler, Ray took a job with North American Rockwell. In 1975, he moved his family to the Kalamazoo area after accepting a position at ARCO Industries, Automotive Rubber Corporation in Schoolcraft. A fulfilling time for him, there he served as an officer of which he spent the majority of his career. Later, Ray became a partner and the Vice President of BORAMCO.  While Ray loved his work, his faith, family and church were most important to him. He Attended St. Catherine of Siena Church in Portage. Ray’s background in finance came in handy having served as an usher for many years. After church he and the collections committee would try and count the funds, but Ray was just so much faster at it than the others. Ray was a man of many skills and numerous interests. In his lifetime, he built three houses including their current home and on each he was his own general contractor. He and Dee shared a love of travel, too. They traveled throughout the U.S. from Maine to California to Hawaii. He loved Sedona and Las Vegas for the slots and blackjack, and traveled often to Las Vegas until the casinos were built around Kalamazoo. Sometimes he and Dee would just get in the car and go try new things and new places. Ray said his best trout dinner ever was at one of Kevin Costner’s restaurants in South Dakota. 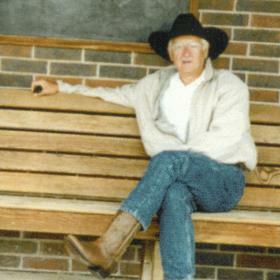 One time when visiting Texas, Ray purchased a cowboy hat and boots. From then on he wore the cowboy hat everywhere and always got compliments on it. A huge Detroit Tigers and Red Wings fan, Ray witnessed many great games alongside his family watching all the greatest players who came through Tiger Stadium. His last game at Comerica Park was a World Series game against the San Francisco Giants. Even though the Tigers lost, it was a highlight to have been there. Ray and Dee took David and Amanda, their granddaughter to Tiger’s Stadium once. True to form, Ray haggled a guy for tickets on the street, but as they entered the stadium, Dee somehow fell behind. She not only found her way in, but she was also the two-millionth fan and got to throw out the first pitch with her family by her side on the mound. They also had the opportunity to meet the team and get autographs. Ray was thrilled and told this great story every chance he could. He loved sports and was always a good fan. Well versed in the game, he had a deep understanding of sports and tried to impart some of that skill onto his kids. Ray rarely paid full price for anything! He liked bargaining for deals, and he was good at it, too! It wasn’t in his nature to be cheap by any means, but he did like to haggle. He was the best at getting a good deal on a car and one didn’t dare purchase a car without Ray. His claim to fame was to walk away and let the salesman think the deal was off, and in the end, he always landed the price he was after. Through the years, Ray remained close to his sisters and called them regularly. They each took it hard when their sister, Patricia passed away. Family was the very heart of Ray. Though it wasn’t always without struggle, Ray did always look forward to Judy’s phone calls on Sunday afternoons. He was blessed with a wealth of friends, and all his neighbors loved him and considered him to be the best neighbor ever. Ray liked talking and took a genuine interest in people and what was important to them. He could easily bond with someone over sports, food, gardening, and just about everything else. A hard working man, Ray had his priorities straight, and it was always about providing for his family and taking care of things. His moral compass and the values he held were something to be admired. With faith as his guide, Ray lived lovingly and honorably. For these things and so much more, his legacy lives on in the hearts of those who knew and loved him. 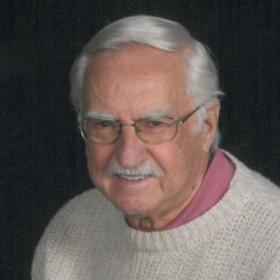 Raymond Edward Grey (Greczyk), age 85, of Kalamazoo, died peacefully on July 17, 2018 at his home. Ray was preceded in death by his parents; and sister, Patricia Wozniak. Surviving are his wife of 52 years, Dee; three children: Deborah (John) Lininger, Judy Grey and David (Caryn) Grey; three grandchildren: Amanda Lininger, Samantha Lininger and Melissa Lininger-Bohora; one great-granddaughter expected; two siblings: Theresa Zebracki and Mary Ann Torchala; many nieces and nephews. Visit with Ray’s family and friends while sharing food and refreshments on Sunday, July 22 from 3-5 PM at Betzler Life Story Funeral Home, 6080 Stadium Dr. Kalamazoo (269) 375-2900, where the rosary will be recited at 5 PM. The Mass of Christian Burial will be celebrated Monday, July 23, 10:00 AM at St. Catherine of Siena Catholic Church with final viewing at 9:30 AM. Burial with military honors will take place at Ft. Custer National Cemetery on Tuesday, July 24 at 11:00 AM. 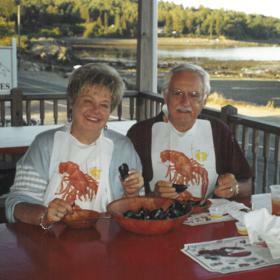 Please visit Ray’s personal web page at www.BetzlerFuneralHome.com where you can share a favorite memory or photo and sign his online guestbook before coming to the funeral home. Memorial contributions may be made to Solanus Casey Center.